Recreation officials said the complex on Piggery Road has seen steady vandalism through the years but rarely like last week's damage. 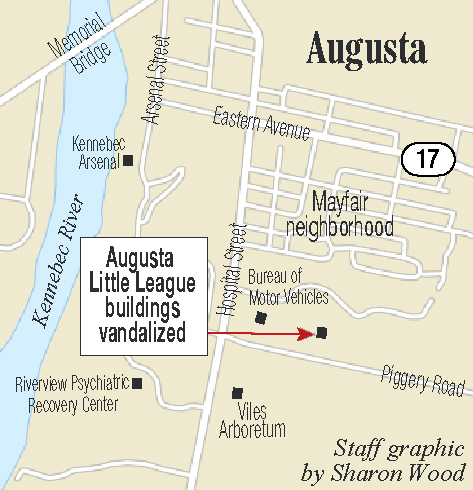 AUGUSTA — Capitol Area Recreation Association officials continue to catalog damages from last week’s string of vandalism on Piggery Road. Augusta police could not provide any further information on incidents, but Joseph Linscott, a facilities representative on the CARA board of directors, said Monday that vandalism at the complex is nothing new. On March 18, a concession stand was destroyed in a fire. 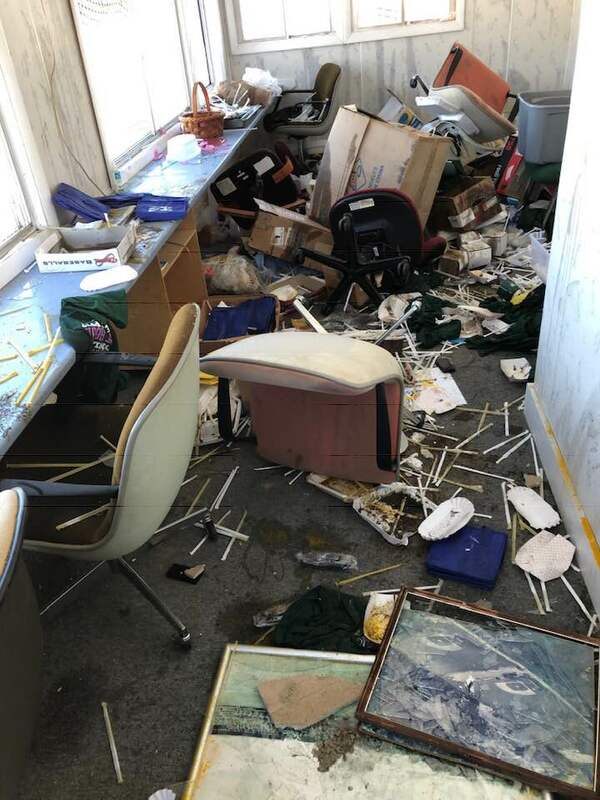 A day later, the press box at McGuire Field was broken into and ransacked. And the next day, more damage was done to the concession stand. Linscott said graffiti was discovered on a dugout on Sunday while board members were checking on the complex. “We don’t know if it was done at night or late fall (because) we don’t get in there much during the winter,” he said. 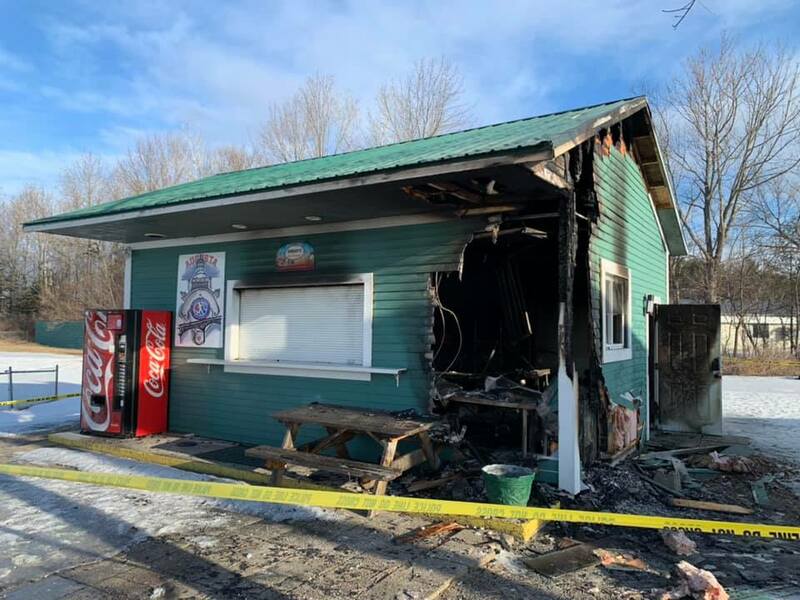 Linscott said the concession stand is commonly broken into by people looking for money or food, but vehicles have damaged fields in the past and portable restrooms have burned or toppled. He said last week’s damage sticks out compared to the usual vandalism. Linscott said some kitchen equipment that survived last week’s fire was destroyed Tuesday when it was moved to the press box at McGuire Field. Along with shattered windows and holes in the walls, less valuable, more sentimental items were also destroyed. Linscott said the vandals destroyed a beanpot that was used as a trophy in the Augusta Babe Ruth league’s inaugural season in 1958. He said the sentimental value of the beanpot is far greater than the insurance company’s valuation of the object. An accurate monetary value of the damage hasn’t been determined yet, as board members are researching the value of the items destroyed for insurance purposes. Last week, Augusta Police Deputy Chief Kevin Lully speculated the total was a “couple thousand” dollars’ worth of damages. Linscott said the board may look at replacing the structure if there is enough damage. He said fundraising and outside donations may be needed to replace the approximately 40-year-old building. Linscott said the areas affected by the damage have security cameras, but they do not cover areas by the woods from where the vandals could have entered the complex. He added that electrical boxes were smashed before the structures were damaged, which would render the cameras useless. He said no athletic seasons will be delayed as a result of the vandalism, adding that Cony High School begins their baseball season in mid-April. Lully said Monday there were no updates on the investigation. Last week, he said the department was “actively and aggressively” investigating the incidents.